VCFA almuna Heather Snyder Quinn, Professional Lecturer at DePaul University, joined Gary Rozanc on the Design Education Today podcast in December to discuss the differences between skinning and designing, her journey from pre-responsive design to post responsive design, and what she’s teaching in the classroom. Heather also discusses how she is using a grant to help determine the best practices in web design to update DePaul’s curriculum. Heather Snyder-Quinn is an interdisciplinary artist, designer, and writer who also goes by the persona @Louise451. @Louise451 as an entity uses corporate tools in unintended ways and as a means to both explore and disseminate her work. Using the guise of persona to work as a chameleon she explores the dichotomies of design and humanity as well as the ambiguous space in between. Her recent work focuses on themes of human and machine, and concepts of transparency—including public versus private and reality versus fantasy. Heather teaches a variety of classes at DePaul University, Chicago including, Design Futures and Web Design. She previously taught at Rhode Island School of Design, where she received her BFA in Graphic Design. 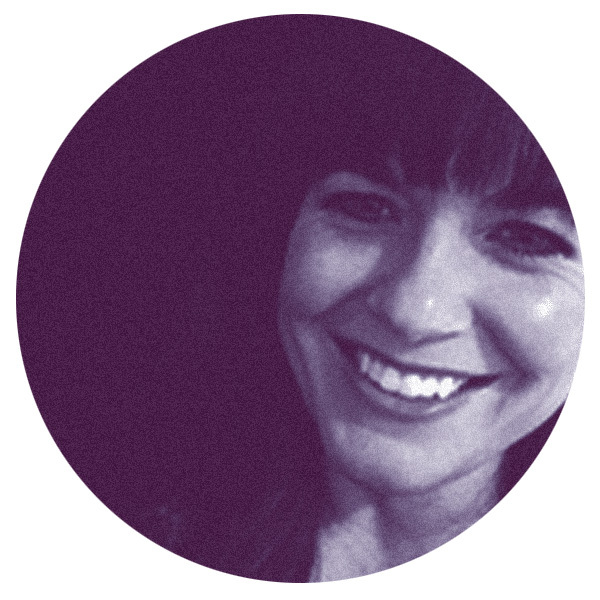 She has worked as a designer for over 22 years at agencies including, SapientRazorfish, Fitch and Essential Design. In 2001 she opened her design studio and has created award-winning work for hundreds of clients including MIT, Harvard, The United Nations, Forrester Research and Open Pediatrics. Heather’s work has been recognized nationally at UCDA, CAA, AIGA, RISD, AIGA Converge, Design Incubation, and AIGA Make, and internationally at Design Principles Barcelona and The Frans Masereel Centre in Belgium. This September she received the Society of Typographic Art 100 award for her experimental publication “Lost in Translation” which utilizes GoogleTranslate’s augmented reality feature. Heather serves as co-chair of AIGA Chicago’s Women Lead Initiative, which celebrates and fosters women’s achievements in design. In addition to her volunteer work with Women lead, she is the new Chicago co-chair for @chicagospeculativefutures—an international community of meetups focused on Speculative & Critical Design, Design Fiction, Futurism, and Strategy & Foresight.